Henderson Tourist Commission – What in the World is Thoroughbred Handicapping? Henderson Tourist Commission / ellis park horse camel and ostrich races fan favorite dollar day visit free admission kids family friendly clean food hot dog ice cream popcorn / What in the World is Thoroughbred Handicapping? What in the World is Thoroughbred Handicapping? This week is not only the LAST weekend to catch Live Racing at Ellis Park for the season, but it’s also your chance to learn about the art of betting on the ponies. Noted handicapper, Gary West, will be in town to share his handicapping wisdom and he’ll also handicap the September 4th card. So your odds…they’re increasing. This weekend’s schedule is a bit different from past weekends, so we’ve outlined the schedule for you below. To make up for the cancellation earlier in the season (on July 4th), this Thursday has been added. Post time (first race) is 12:50 pm, CST. NO LIVE RACING on Saturday September 3! Join Ellis Park Announcer, Jimmy McNerney, and award winning turf journalist and noted handicapper, Gary West, for an exclusive Handicapping Seminar at 10:30 am (CST) in the 1st Floor Ellis Park Clubhouse. 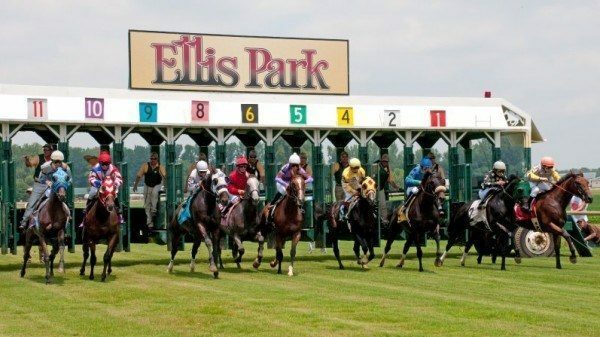 McNerney and West will be handicapping the September 4th card at Ellis Park. *Gates open at 11 a.m (CT) each day during live racing. Post time (first race) 12:50 pm (CT).